I Make A Pretty Mean Cookie Bar. Oh, Also, I AM THE WORST. So originally this was going to be the post where I tell you about my fabulous weekend, which, in my world, started on Thursday with a killer TV On The Radio show in Brooklyn. The show really was fantastic, so much so that my throat was sore from yelling and my feet were pretty much numb from all of the crazy dancing I did. On Friday I finally started to get my running game back up after some major/minor/then kind of major again asthmatic issues, then celebrated by baking the delicious treats I’ll eventually get around to telling you all about. I handed out these treats to Sylvapotamus and several friends who were all thrilled with the free sweets. Here I am frolicking through the land doling out presents like Indian Santa, being the good little baker I am. Sounds great right? 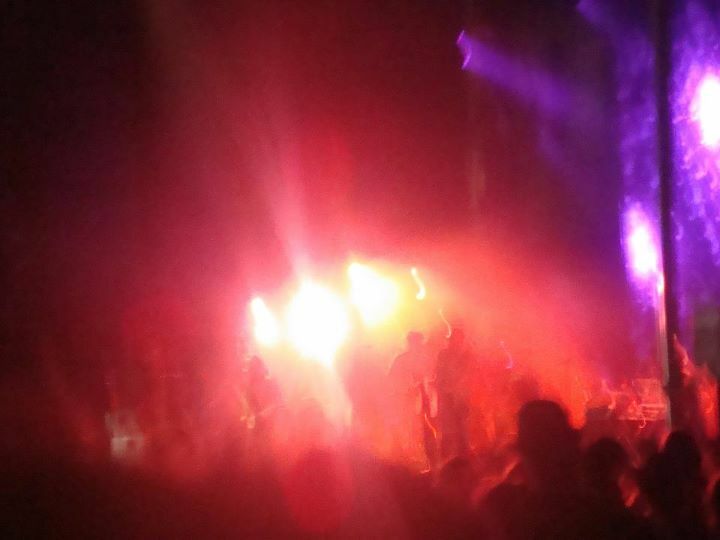 Blurry ball of fire= awesome, awesome night. Sunday, my friend Andrew was kind enough to invite me over to watch the latest Project Runway episode and the Giants game. I thanked him by bringing over beer and some baked goods. Then I thanked him again by smacking him in the face with a pillow and breaking his glasses–his only pair of glasses– in half. So just be forewarned: if you invite me over, I will bring you delicious sweets. Then I will destroy something you need, love, or need AND love. Oh, and the Giants lost, in case you’re not into football. These things may or may not be related. I am joking about this, but I feel like a total tool. I mean, sure, he’s got contacts, but who breaks someone’s only pair of glasses? I am a bag of lame. 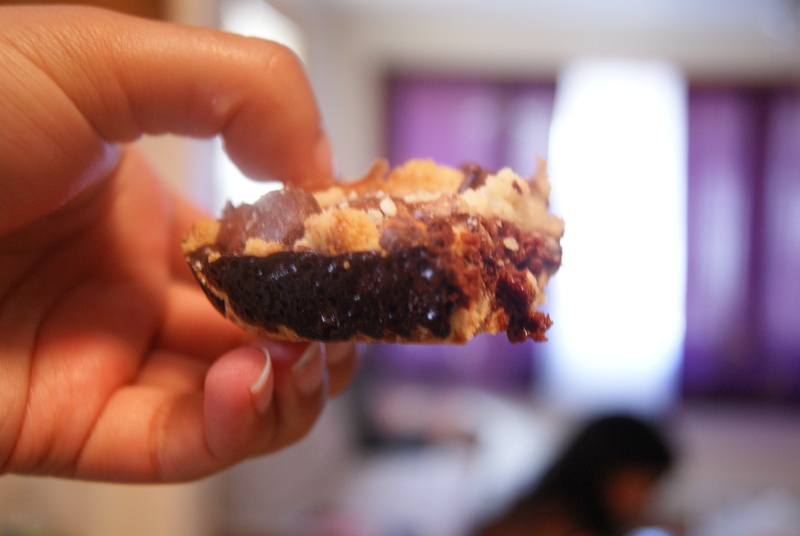 I can only hope that the Dark Chocolate Crumb Bars I left him will tide him over until the next visit to the optician. 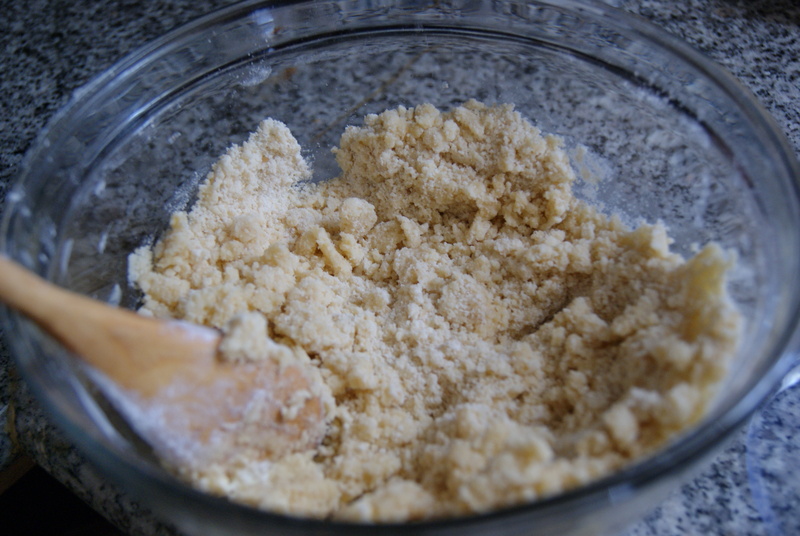 Press about 2 cups of the mixture evenly into the bottom of the pan and set aside the rest. Throw the pan into the oven for 10 to 12 minutes, until the edges are browned. Meanwhile, combine 1 cup of the chocolate chips in a small bowl with the condensed milk in either or in a small mixing bowl. If you use the saucepan, stir frequently over low heat until the mixture’s fully melted. If you go with the bowl option, microwave the mixture in 30-second increments, stirring in between, until the chocolate is melted and combined with the milk. Stir in the vanilla extract. Remove the pan from the oven and evenly spread the melted chocolate mixture evenly over the crust (make sure you’re using oven mitts while you do this…I’ve got ten burned fingertips that can tell you why). Meanwhile, stir the nuts, remaining 2/3 cup of chocolate chips, coconut, and other random goodies you might decide to add in (M&Ms perhaps?). Spread this over the chocolate mixture, and bake for 25 to 30 minutes, until the top looks slightly browned and the center is set. Remove from oven and cool for about 10 minutes on a wire rack. 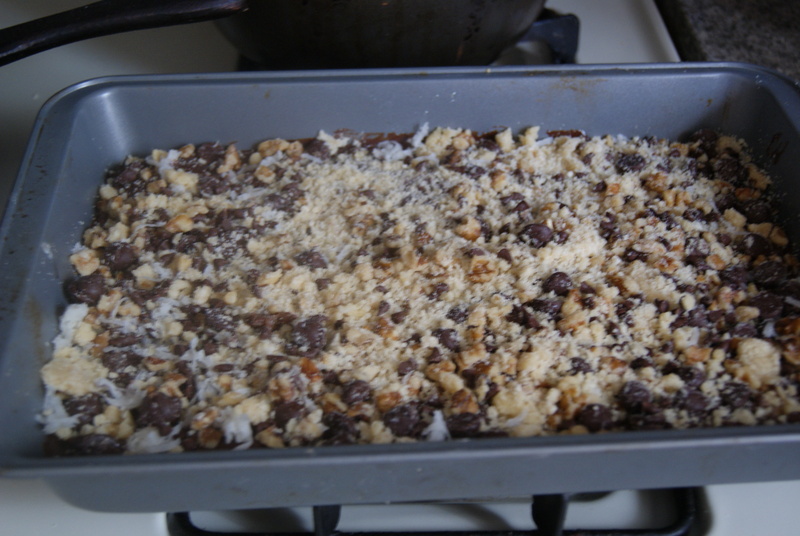 You can then pop this into the refrigerator to cool completely before cutting into individual bars. You’ll end up with about 30. Friends and family seemed to really enjoy them. They’re pretty difficult to screw up. I’d post pictures of some of my friends getting into them, but apparently I was too busy beating the crap out of all of them to snap photos. Maybe next time.